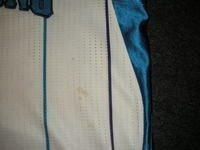 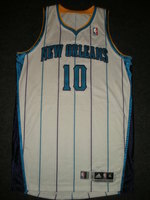 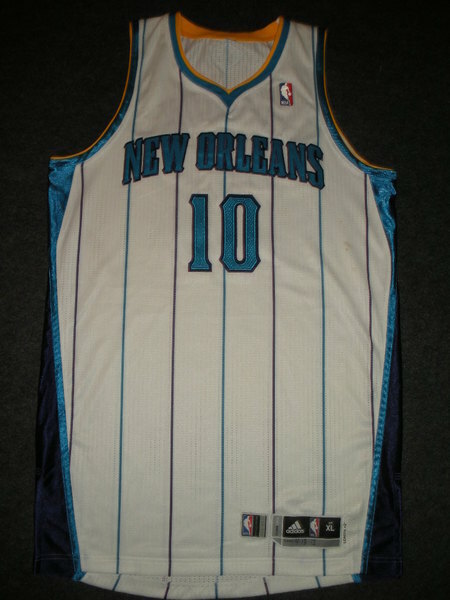 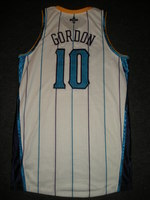 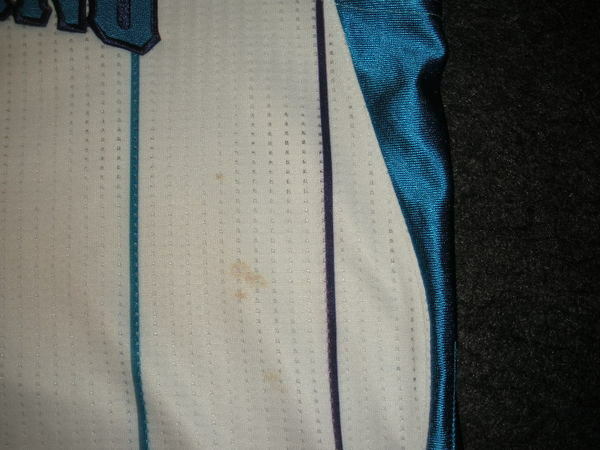 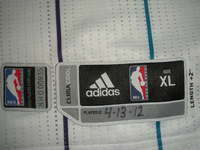 Gordon wore this jersey during the Hornets' 96-85 victory over the Utah Jazz on April 13, 2012 at New Orleans Arena in New Orleans, Louisiana. 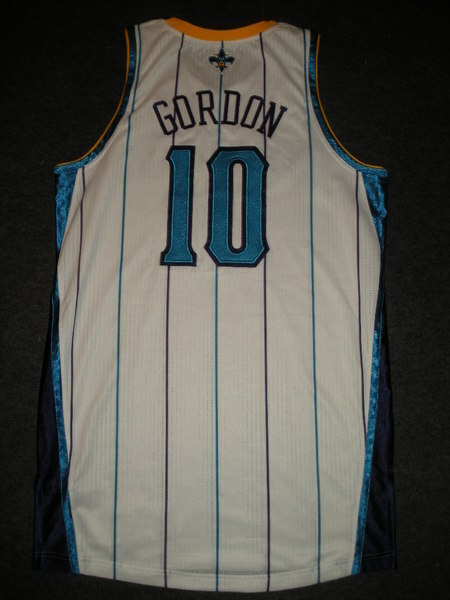 He played 37 minutes and registered 25 points with 6 assists. 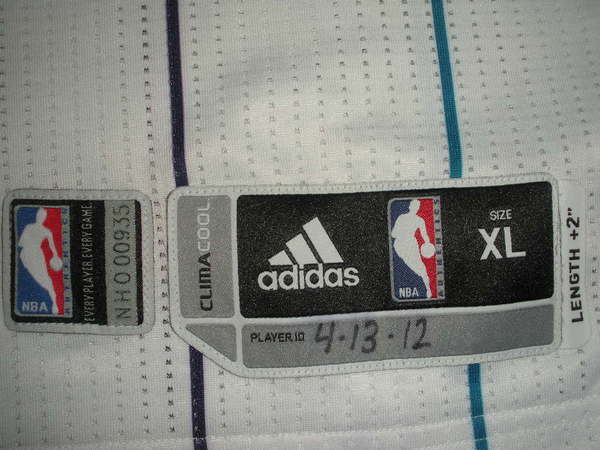 '4-13-12' is handwritten on the jock tag.